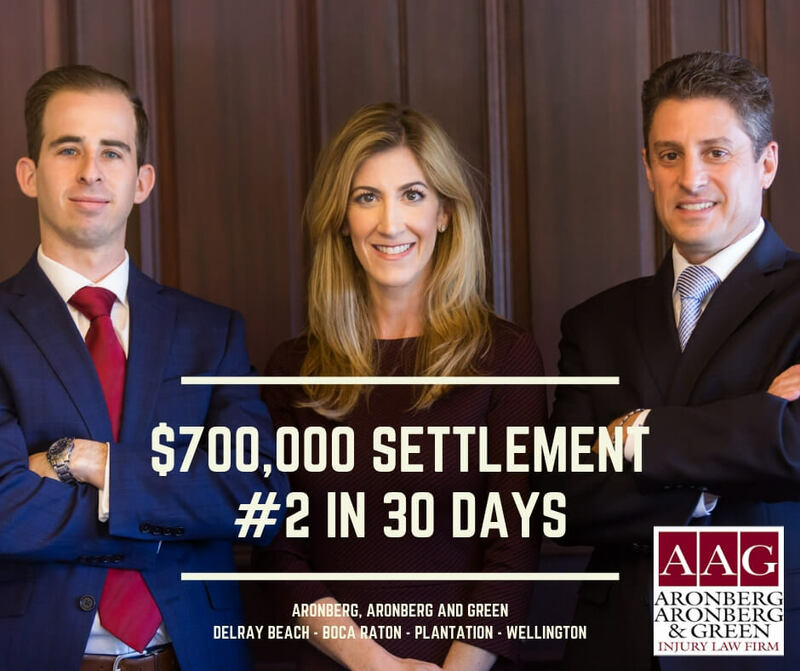 The Delray Beach Personal Injury Attorneys at AAG Injury Law Firm are proud to announce we are having a monumental 30 days. Just two weeks ago, we wrote about a car accident case we settled for $700,000. We are pleased to announce we settled another case for $700,000.00–this time a motorcycle accident. The motorcycle accident occurred less than one year ago. Our client was riding his motorcycle westbound on Lake Ida Rd. when another driver, exiting a gated neighborhood, negligently rolled through a stop sign and merged onto Lake Ida Rd. The other driver didn’t take the time to look for oncoming traffic and entered our client’s lane. The car side-swiped the motorcycle. The motorcycle was knocked over, slid into the median and our client was found bloodied, unconscious and a considerable distance away from the initial impact. Our client was taken to the hospital where he was diagnosed with facial fractures and a brain bleed. He was monitored for several days in the hospital and then sent home. For the most part, our client was able to go back to his normal routine. However, our client informed us that he was having trouble with his short-term memory and concentration. We became our client’s medical advocate and made sure he got to one of the best neurosurgeons in town. From there, our client was recommended to undergo an expensive neuropsychological evaluation which we coordinated. The neuropsychological evaluation proved our client did, in fact, sustain a serious permanent injury—not properly documented in the hospital. Our client’s complaints of “lack of concentration” and “poor short-term memory” were now corroborated by medical data. Shortly after providing this report to the at-fault driver’s insurance company, we were able to settle our client’s case for $700,000.00. Please note, results for our past clients are not an indication for how much money you should expect to obtain for your accident case. Each case is unique. If you have any questions about how much your motorcycle accident case may be worth, please call Aronberg, Aronberg & Green, Injury Law Firm, at 561-266-9191.